Court reporters and stenographers owe much of their success to the recent rapid development of technologies and resources that they now have at their disposal. The need to capture the spoken word to be referenced by governing/judicial authorities as well as future generations is something that has been important to humanity’s civilized development throughout history. In this article, we will be outlining the path history took to get us to where we are today with stenographic court reporting. The history of the technological advancements in the world of court reporting and stenography begin, in truth, with the beginning of writing itself. In ancient Mesopotamia, the Sumerians developed a system or writing called cuneiform. Latin for ‘wedge,’ this form of writing utilized pictographs which were formed in clay by a wedge-shaped stylus. In the picture above, we can see what is referred to as a “lentil” tablet. Cuneiform survived as a writing system in this region from 3500-3000 B.C.E. until some point after 100 B.C.E., utilizing phonograms (a symbol or combination of symbols that represent a sound) in its maturation. Here we can see recreations of Imperial Chinese shorthand. 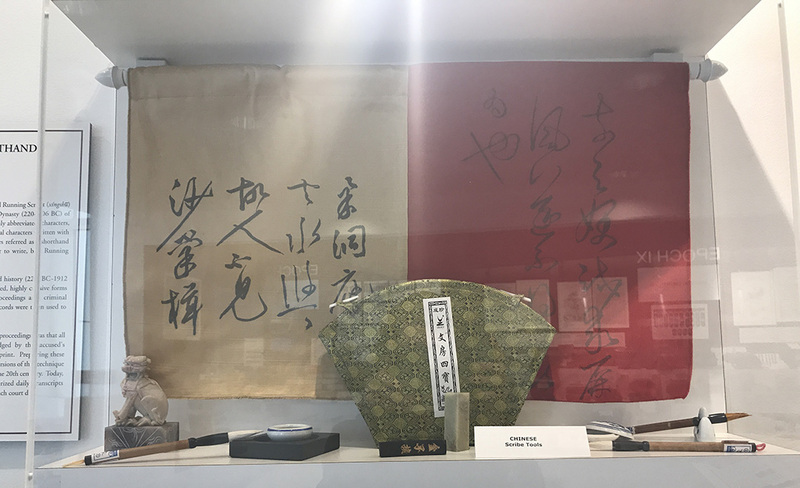 These two systems, Running Script (xingshu) and Cursive, or “Grass,” Script (caoshu), were invented to expedite the recording of confessions. From these records, more official transcripts were produced for formal use in the imperial court. Individual characters were written down in a more abbreviated form without the calligrapher ever lifting the brush. Later on, “Standard” Script (kaishu), grew out of the earlier forms, allowing for more elegance and complexity. The development of Western forms of shorthand as we know them today began with the Romans and Cicero. A Senator and Consul for the Roman Republic, he had in his company a slave named Marcus Tullius Tiro who acted as his personal secretary. At Cicero’s behest, Tiro invented a system of shorthand known as Tironian Notes. This system used abbreviated Latin letters, Greek symbols, and other signs and symbols crafted by Tiro himself. Its use spread after other Roman senators learned of Cicero’s advantage and had their scribes adopt the system. Thus, it expanded and was later systemized to around 5000 various marks to create Tironian Notes as were used by monks in the Middle Ages who rejuvenated the system after a long period of shorthand being associated with witchcraft and magic. 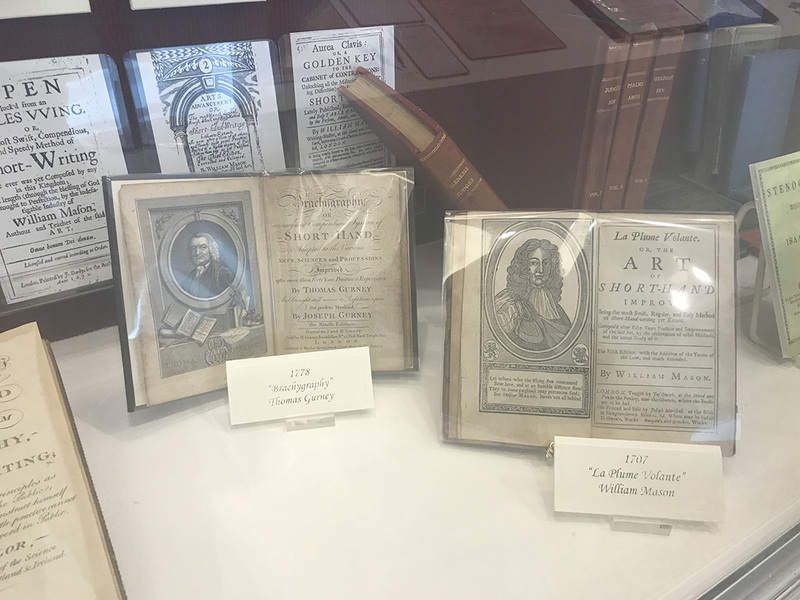 Fast forward a few hundred years to the 17th century, and we find that a variety of systems of shorthand and manuals on shorthand were authored by many innovators, including John Willis, Thomas Shelton, Jeremiah Rich, and William Mason. One of the few prominent systems that came out of the 18th century was crafted by Samuel Taylor, whose work went on to inspire Sir Isaac Pitman to improve the artform by integrating the recording of sounds as symbols in his own system, Stenographic Sound-Hand that he published in 1837. This collection of signs and symbols captured vowels, consonants, and double consonants. Users were also able to distinguish similar sounds through similar signs and reduce the number of strokes necessary through clever use of shading. Benn Pitman, Sir Isaac’s brother, minorly modified this system when he introduced it in America. 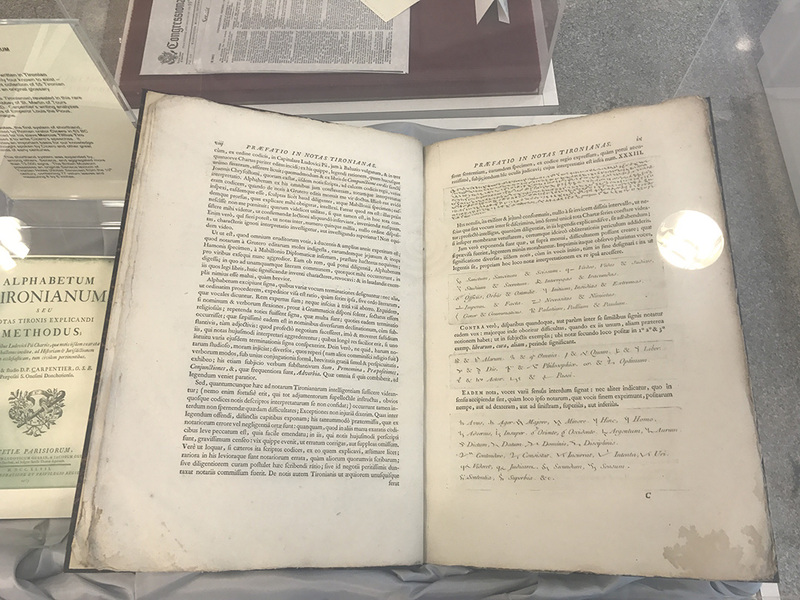 Because the symbols captured sounds instead of letters, Pitman’s shorthand system was easily usable by a wide range of languages around the world. Forty years later (1877), a gentleman by the name of Miles Bartholomew created the first machine successfully used for shorthand, and nearly 30 years after that, in 1906, an American court reporter/stenographer named Ward Stone Ireland made the first commercial Stenotype machine. The modern keyboard that stenographers and court reporters use today grew from this groundbreaking machine’s design. The picture above showcases an entire wall of machines of unique designs, keyboard layouts, and other innovations (such as magnetic tape recorders, modem connections, and LCD screens) that have been experimented with in the recent boom of technological advancement that this industry has seen. In the 21st century, two of the most recent advancements, online document repositories and real-time reporting (including Certified Access Realtime Translation or CART), have enabled faster turnaround for and easy availability of highly accurate transcripts. This is just the tip of the iceberg for this new technological renaissance we find ourselves in. We can only speculate what the next 5, 10, or 100 years hold for us, but we can be certain that the need to record human ideas, and the spoken human word, in particular, for our industry, will never be rendered obsolete. 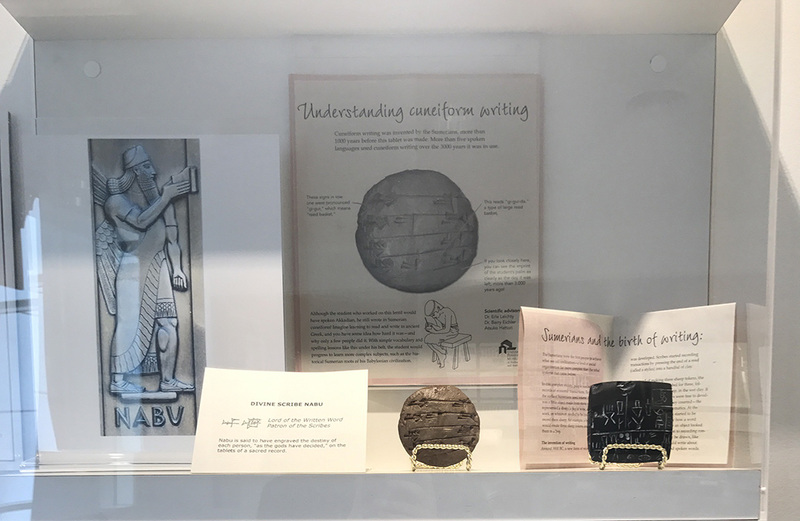 *Thank you to The Gallery of Shorthand, where we visited to learn this historical information and they allowed us to take pictures for the images in this article.